Geronimo is headed to India, and he can’t wait! Amazing curry, stunning scenery and a chance to try the local Indian cheese! Oh, and did we mention that he’s on a super-secret mission to stop a precious jewel from being stolen? 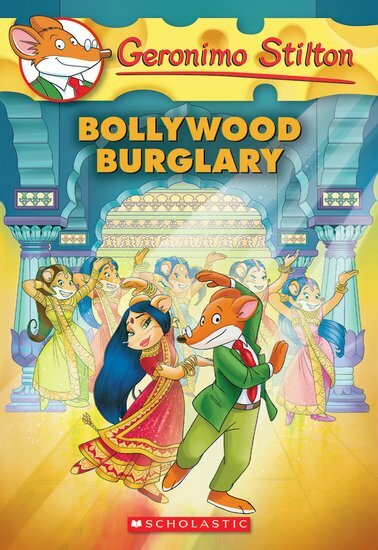 One of Geronimo’s friends is a Bollywood film star, and she’s been given a priceless ruby. Geronimo and his detective buddy, Hercule Poirat, have offered to guard it for her. But the plot totally thickens when Geronimo gets roped into acting in her latest Bollywood movie. Rancid ricotta! Even worse, then the jewel gets stolen. Can they find the thief?